Brussels is to hold an EU summit with atheists and freemasons in the autumn, inviting them to a political dialogue parallel to the annual summit the bloc holds with Europe's religious leaders. While the EU is a secular body, the three European presidents, of the commission, parliament and EU Council, alongside two commissioners, on Monday met with 24 bishops, chief rabbis, and muftis as well as leaders from the Hindu and Sikh communities. The annual dialogue, which has taken place since 2005, is for the first time this year made legally obligatory under Article 17 of the Lisbon Treaty. Under pressure from Belgium, which constitutionally protects and financially supports humanist organisations as well as churches, the EU has been forced to hold a mirror-image summit, but of atheists, scheduled for 15 October. However, in a move that perplexed and annoyed humanist groups, the EU atheist summit will also welcome under the rubric of ‘non-religious groups’, the Fre emasons, the secretive fraternal organisation, according to commission spokeswoman Katharina von Schnurbein. "I find it rather odd," David Pollock, president of the European Humanist Federation, told EUobserver. "Some of the Grand Lodges are secularist organisations, and strongly for separation of church and state, but they also retain all sorts of gobbledygook and myths such as the Great Architect of the Universe." Emerging in the late 16th century in England and subsequently spread throughout the world, the Freemasons split in 1877 between the English-speaking lodges and their continental counterparts over the question of god. Anglophone Freemasons require that their members believe in a deity, while continental freemasons do not. "Their public face is that they do charitable work and they do indeed engage in this, but there are also rituals involving blindfolded candidates with their trouser-legs rolled up during initiation," continued Mr Pollock. "It's boys' games sort of a thing." Mr Pollock told this website that humanists had opposed any inclusion of the ‘religion clause' in first the EU Constitutional Treaty and subsequently the Lisbon Treaty, arguing that "no one has any right to some special summit any more than any other type of organisation, and we should wait in line to speak to commissioners, to access at the highest level, like any other NGO, which is what churches are." "Neither religious groups nor non-religious ones have any greater claim to taking up the time of commissioners." "But sadly we lost that battle, and so with the atheist summit, at least we're being treated equally, although I'd rather if we were there along with the churches. Instead we're being bundled off with the Freemasons." According to the commission's Ms. von Schnurbein, Brussels views the Freemasons as a "community of conscience interconnected throughout Europe," and "a form of humanist organisation." She dismissed concerns that while churches and atheist groups are free for anyone to join, membership in the Freemasons, a private organisation of men, with some separate Grand Lodges for women, is by invitation only and requires initiation fees and an annual subscription. The EUobserver attempted to speak with the United Grand Lodge of England, the oldest Grand Lodge of masons in the world, regarding this development but without success. Meanwhile, the Catholic Church has had its nose put out at the annual EU summit with religious leaders by the presence for the first time this year of Hindus and Sikhs. According to La Croix, the French Roman Catholic daily, the church, happy to embrace an ecumenism of the great monotheistic faiths at the EU level, fears that the enlargement of the meeting to include such groups beyond those "more anchored across the whole of the continent," suggests the EU is being "religiously correct". 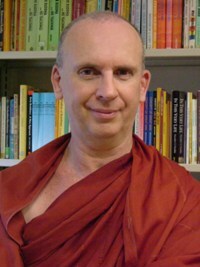 According to a spokesman for President Van Rompuy, next year the meeting could include a Buddhist. Beyond the annual summit, religious leaders interpret Article 17, which commits the EU to holding "an open, transparent and regular dialogue with… churches and non-confessional and philosophical organisations", as meaning regular meetings with senior civil servants, not just on grand themes such as Monday's topic of the battle against poverty, but on more concrete legislative measures dealing with climate change, education, immigration, social services and labour laws. In the future, they hope to have similar relations with EU agencies, notably the Fundamental Rights Agency, as well as with the bloc's new diplomatic corps, the External Action Service. By Leight Phillips in EUrobserver. The European or Grand Orient branch of Freemasonry does not require belief in a Supreme Being, but the British, and therefore American and Australian, traditions do. 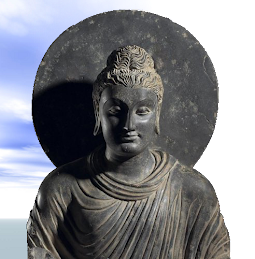 It is entirely up to the Mason as to what that entails, but as a practicing Buddhist in the Theravada tradition I have had no problems in being a Freemason. 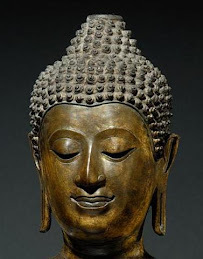 The Buddha is the Teacher of Gods and Men and so that's a Supreme Being in my estimation. 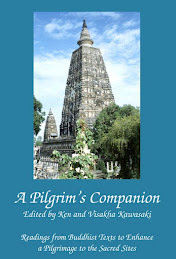 Each Mason has a Volume of the Sacred Law, which in my case is the Dhammapada, but can be the Bible or Bhagavad Gita. The Order displays its western European Judeo-Christian heritage, but I find that fascinating, and in fact with so many people flocking to Eastern religions they should look to the strangeness of their own culture. My interpretation after four years is that it is a Western version of Tantra, mystical reinterpretation of reality with symbolic usage of myth and morality plays as a means of instruction on ethics and behaviour, how to treat your fellow person, death and impermanence and all the good stuff. 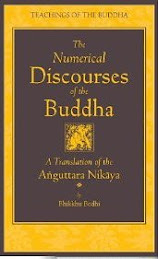 It is very Buddhist in parts, especially the second or Fellowcraft Degree, where whole sections could have been said by the Buddha. Thanks for the interesting explanation. Please give us a brief account of the Fellowcraft Decree. I've tried leaving another comment but it won't let me for some reason. Do you have an email? There are certain things I've taken an oath not to discuss! Yes there are secrets, but these are aspects of the ritual that provide dramatic significance as part of the ceremony and would spoil the experience of it, and also only make sense once the previous degree workings have been undertaken. In that respect it is an initiatory mystical tradition very much like Vajrayana. 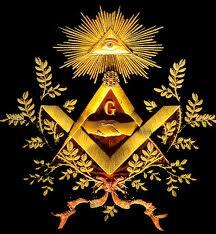 We meet as a Lodge, or group of Masons. Each meeting has the regular meeting events like elections, minutes, roll call, budgets and correspondence. The other part of the meeting is the Ritual, which is where we learn things. The Ritual is in 17th Century English, and is essentially a morality play derived from events and stories in the Old Testament. The candidate for progression through the degree takes part in the the Ritual and derives a great deal of meaning from it. There are three degrees in Craft Freemasonry, the Entered Apprentice (first), Fellowcraft (second) and Master Mason (third). The key teachings from my understanding for each of these is morality and awakening from darkness into light (first), spiritual learning, social egalitarianism (second) and death and the infinite (third). They talk about regular steps in Masonry - which are steps the moral individual takes on the spiritual path, very much like the Eightfold Path. There is the symbol of Jacob's Ladder leading up to Heaven, again the Eightfold Path analogy. Death plays a large symbolic role to remind us that life is short and death comes to all and that we should be good people and help our fellow people. Very Tibetan in the prominent display of skulls and bones and coffins, etc! All very well and good (opinion-propoganda) from a practicing Mason/Buddhist. What you fail to add (and what I see/experience clearly within my field of work) is the endemic cronyism and corruption, elevation/promotion based on Masonic membership rather than merit. It's (in the Anglophone world) a boys' club for people looking for a 'leg-up' in their social standing and career. Yes I agree with you, there is a lot of that. There is also lots of that in many other types of organisations and associations. Buddhism itself is not free of these sorts of things. Certainly there is much at the heart of Masonry that is very spiritual and of value, but as you say there is a lot of cronyism, secret handshake deals and so on. But then again there is lots of charity and support for people.